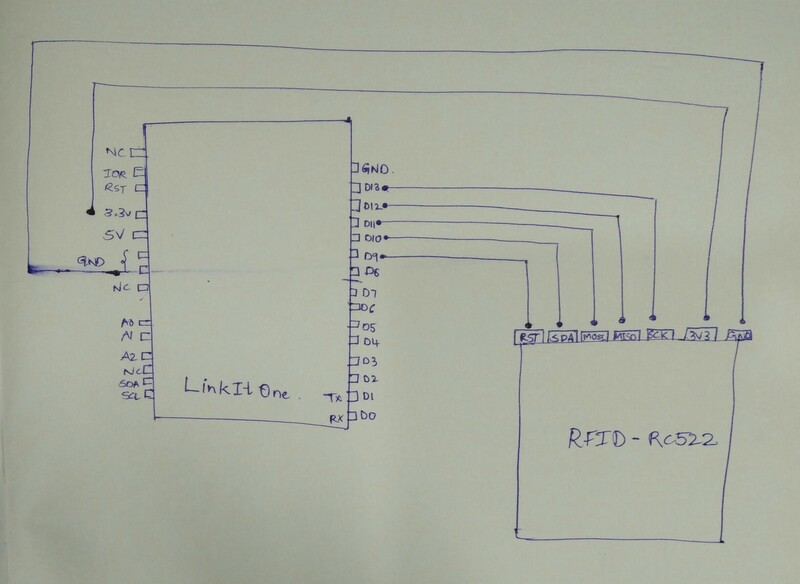 This is a RFID data logger which reads the data in the card using the MFRC522 card-reader connected to the MediaTek LinkIt One. Using the MQTT broker called Mosquitto, the data is sent to mqtt server from the LinkIt One. This data from mqtt Server is sent to MongoDB (DataBase). In general the data sensed is stored in a DataBase with Timestamp. i) Click on the given Link Moquitto Download to install mqtt broker. By default 3 .dll files will be missing, hence in order to install .dll files, follow the next steps. i) Install MongoDB using the link provided MongoDB download. a) Open the cmd prompt in the mosquitto directory and run the command 'mosquiitto -c mosquitto.conf', when this is done the 1883 port gets activated, this can be checked by typing 'netstat -an' on cmd prompt. 'db.test_mqtt.find().pretty()' //gives you the contents in the collection. #define WIFI_AUTH LWIFI_WPA  // choose from LWIFI_OPEN, LWIFI_WPA, or LWIFI_WEP. // Dump debug info about the card. PICC_HaltA() is automatically called.